A New Hampshire man is facing multiple drug charges after police found a sophisticated marijuana growing operation in his home. Christian Lydon, 47, of Woodbury Avenue is charged with unlawful manufacture of a controlled drug and possession of a controlled drug. No court or bail information was immediately available. The month-long investigation that led to Lydon's arrest was initiated by a Portsmouth police detective who smelled the scent of marijuana in the air while on a routine patrol on Woodbury Avenue. After further investigation, police were able to determine that the source of the odor was an area home. 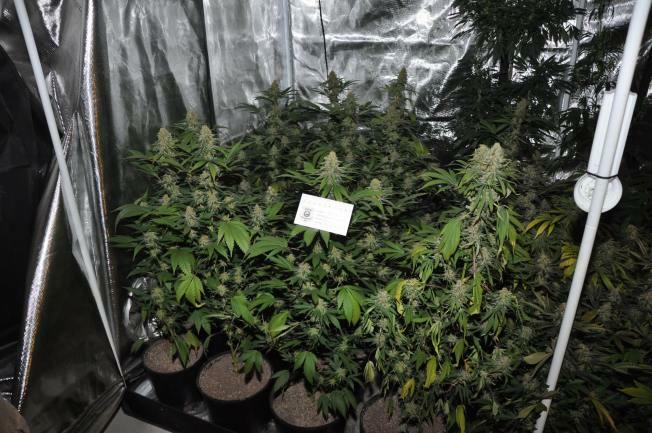 During a search of the residence, a massive indoor marijuana grow operation was located in the basement, consisting of 51 marijuana plants valued at $100,000. All of the plants and drug manufacturing equipment were seized by police.